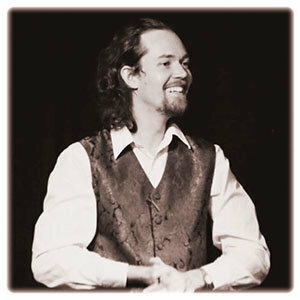 Jesse the Wind Wanderer is a storyteller, actor and educator who began his professional career as a storyteller in 2006. Over the last 12 years he’s performed at schools, libraries, parties and festivals and also had stories filmed by the Department of Education to be made into teaching and learning materials. He is Vice President of the Storytelling Guild of Australia (WA), producer of the ‘Story Circuit’, a traditional storytelling performance for adults, holds BA in Linguistics and Australian Indigenous Studies and is a qualified childcare professional. At The Sound Temple we are committed to the revival of incredible storytelling events and are delighted to welcome Jesse The Wanderer as part of our team. We have the perfect venue and the bush setting in Perth Hills to support the healing and transformations that are formed during the lost art of story.